During the 2012 Campaign President Obama kept ripping Mitt Romney, falsely claiming the GOP candidate had a history of shipping American Jobs to China. And when Romney said that Chrysler was going to build Jeeps in China the progressives went wild–denying that Chrysler was going to outsource jobs to China. The problem was Romney did not claim that Chrysler was “outsourcing” existing Jeep jobs to China, only that Chrysler is going to “build Jeeps in China.” And that is true. Perhaps the GOP candidate would have been better off talking about GM. A report in today’s Washington Examiner details GM’s building of production capacity in China. 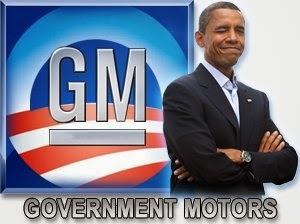 The bailout agreement negotiated by the President had a provision that GM had to increase capacity in the US. Apparently Obama has quietly released the auto manufacturer from that requirement therefore GM is spending billions of dollars building up its production capacity in … China. A cynic would say that once the election was over, Obama allowed GM to move its manufacturing to China. It is a very strange coincidence.